1. 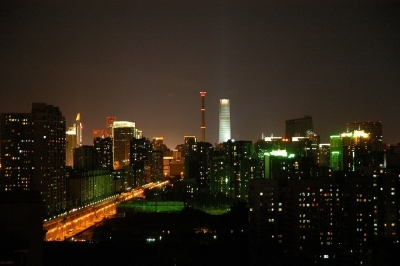 It is the second largest city in China, being surpassed only by Shanghai. While Beijing has about 19 million citizens, Shanghai has (according to the latest census) over 22 million people. Over it's long history Beijing has been one of the four historical capitals of China, the others being Nanjing, Xi'an and Luoyang. You might also know it as Peking and was founded over three millenia ago. 2. The main tourist and cultural attraction of Beijing is by far the Forbidden City, the largest palatial building in the world, which has almost one thousand structures, and over 8700 rooms. Thousands of vizitors come here every year and to a large degree it is one of the main symbols of Chinese culture and history. It has been the home of no less than 24 emperors during the Ming Dinasty. 3. If you are interested in traditional Chinese art there is a great chance of discovering the magic of Beijing of Peking opera, and it is very different from what we Europeans understand by opera. Combining songs, dialogue, amazing martial arts demonstrations, impressive weapons and rich costumes, it is somewhat of an aquired taste, but once you begin to like you will see show after show. 4. The Beijing Capital International Airport is a sight to behold and the second busiest airport in the whole world, and every year about 100 million travellers come through here. 5. It is not only a cultural and historical landmark, but the city of Beijing is also one of the places to go on a shopping spree, no matter if you are bargain hunting for souvenirs or cheap electronics, elegant clothes or counterfeit copies, splendid antiques or toys, there is a place in Beijing where you will find something for everyone. And many of those who are fascinated by Chinese cooking will surely be amazed by the variety and character of local cuisine, with several striking specialties.